The Broomfield, Colorado-based, woman-owned business provides organizations with customized and sustainable health and well-being solutions. Broomfield, CO, April 9, 2019 – Health Promotion Management, Inc. (HPMI) http://www.hpmi.com is celebrating 35 years of transforming organizations into cultures of health. Their emphasis on building a positive culture to serve as a foundation for long-term success sets their wellness initiatives apart, significantly impacting everything from employee happiness and satisfaction to engagement and performance. HPMI’s track record for infusing healthy culture into companies of all sizes has resulted in longstanding client tenure and exceptional customer satisfaction. Human-centered workforces are proving to be a sound business strategy, and companies that invest in their most valuable asset—their people—are pulling to the forefront of their industries. HPMI focuses on delivering Value on Investment (VOI), which encompasses financial savings on healthcare costs as well as the benefits of enhanced morale and vitality, increased productivity, positivity, and talent retention. HPMI’s programs extend beyond encouraging physical health to integrating purpose, financial, and social-emotional components, all of which contribute to overall well-being. “Healthy living is our passion, so we thrive on inventing fun and different ways to make our lives, and our clients’ more energetic, productive, and balanced,” said Lisa Bailey, Owner, CEO, and President of HPMI. Health Promotion Management, Inc. (HPMI) fosters organizational and individual transformation by providing tailored health and well-being solutions, delivered with their signature white-glove approach. 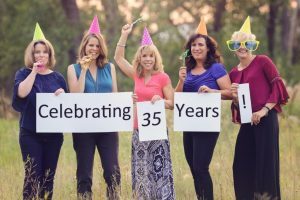 Since 1983, they have been extending their passion for healthy living to Colorado workplaces, helping companies improve employee wellness, reduce healthcare costs, and enhance cultures of health. In 2018, the company synthesized their 35 years of experience into Transformational Wellness™ (https://hpmi.us/services/transformational-wellness/), a comprehensive, turnkey solution that delivers an entire year of programming accessible to companies of all sizes. In addition, HPMI offers health screenings and assessments, well-being classes and challenges, culture coaching, and a well-being portal. Their client list includes the University of Colorado, UCHealth, Denver International Airport, Town of Silverthorne, and Jefferson Center. For more information, please see www.hpmi.us.